Rock phenomenon Alice Cooper – ‘The Godfather of Shock Rock’ – will take to the stage, making his Segerstrom Center debut at Segerstrom Hall TONIGHT, Tuesday, November 26 at 7:30 p.m. as part of his Raise the Dead tour. Spend an evening with one of rock music’s superstars. Cooper’s theatrical rock show promises macabre music and mayhem! Some tickets are still on sale – see links & info below. 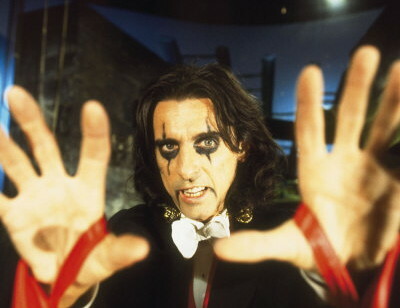 The revered founding father of modern horror rock music, Alice Cooper, is a true rock icon, even at 65 years of age. Over the past five decades, the rock star has dazzled his fans. Cooper pioneered the use of theatrics and shocking images onstage in his concerts from the earliest days of the original band of the same name, founded in Detroit in the late 60s. Since embarking on a solo career, Cooper has continued to produce elaborate stage shows, providing fans with both shock and rock of the highest caliber. Tickets for Alice Cooper start at $49 and are now on sale. Single tickets will be available online here and here, also at the Box Office at 600 Town Center Drive in Costa Mesa or by calling (714) 556-2787. For inquiries about groups of 10 or more, call the Group Services office at (714) 755-0236. The TTY number is (714) 556-2746. There are a limited number of VIP tickets available. Alice Cooper was inducted into the Rock and Roll Hall of Fame in 2011, and has toured and recorded continuously, with his most recent album being Welcome 2 My Nightmare through UMe. Recorded with longtime collaborator Bob Ezrin, who produced the original ground breaking, multi-platinum Welcome To My Nightmare album in 1975, the album picks up right where they left off, with Cooper trapped in his own warped mind. His catalog of hits and anthems, including “I’m Eighteen,” “No More Mr. Nice Guy,” School’s Out,” “Elected,” “Poison,” and others, are included in his current Raise the Dead show, which also features his musical tribute to his fallen friends John Lennon, Keith Moon, Jim Morrison and Jimi Hendrix. Currently, Cooper’s touring band features the three guitar attack of Orianthi, Tommy Henriksen and Ryan Roxie, backed by bassist Chuck Garric and drummer Glen Sobel. Additionally, “Nights with Alice Cooper,” his nightly radio show, is available in nearly 100 cities in the U.S. The show features his favorite classic rock songs along with his insider anecdotes about many of the artists. Tuesday, November 26, 2013 at 7:30 p.m.
Information provided is accurate at the time of printing, but is subject to change. As Orange County’s largest non-profit arts organization, Segerstrom Center for the Arts owns and operates the 3,000-seat Segerstrom Hall and intimate 250-seat Founders Hall, which opened in 1986, and the 2,000-seat Renée and Henry Segerstrom Concert Hall, which opened in 2006 and also houses the 500-seat Samueli Theater, the Lawrence and Kristina Dodge Education Center’s studio performance space and Boeing Education Lab. A spacious arts plaza anchors Segerstrom Center for the Arts and is home to numerous free performances throughout the year as part of Segerstrom Center for the Arts’ ongoing Free for All series. The Center presents a broad range of programming each season for audiences of all ages from throughout Orange County and beyond, including international ballet and dance, national tours of top Broadway shows, intimate performances of jazz and cabaret, contemporary artists, classical music performed by renowned chamber orchestras and ensembles, family-friendly programming, free performances open to the public from outdoor movie screenings to dancing on the plaza and many other special events. It offers many education programs designed to inspire young people through the arts. These programs reach hundreds of thousands of students of all ages with vital arts-in-education programs, enhancing their studies and enriching their lives well into the future. 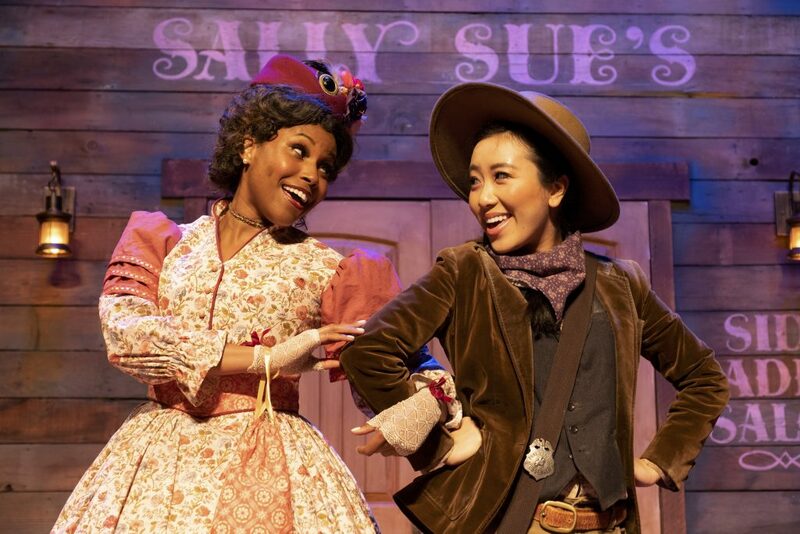 Tony® Award-winning South Coast Repertory and a site designated as the future home of the Orange County Museum of Art. Pacific Symphony, the Philharmonic Society of Orange County and the Pacific Chorale, who contribute greatly to the artistic life of the region with annual seasons at Segerstrom Center for the Arts.